ABOUT US ship your boxes sea freight forwarding air freight forwarding moving? order container boat shipping roll on - off shipping road and intermodal forwarding special cargo rate requests cargo tracking document center smart links references customers worldwide other moving from hungary GALERY usa purchase assistance? 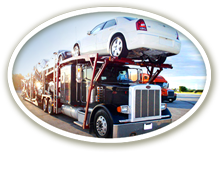 We are offering vehicle transportation across the country! There are two options available: Economical and Expedited. Our contracted car carriers are equipped with dependable fleets to carry your favourite cars, motorcycles, boats and RV’s. For quick reference, prices can range between $.50/miles to $ 4.00/miles. - Pick up or drop off location is easily accessed by major highways. - Vehicle condition, running or inoperative. - Will be transported on open car carrier or inside in an enclosed trailer. To transport a motorcycle can be as costly as a regular passenger car. To transport a boat is always a challenge. It requires more space or a special trailer. In some cases, tow vehicle. To transport an RV is also can be difficult, Keeping them in one location for years, wheels, brakes, axles might be in a bad condition, can be dangerous. Please ask about our 3 days coast to coast expedited service for cars. - Year, Make, and Model. - Origin and destination address with zip codes. Please click to download and fill our rate request form for fast and easy quote.